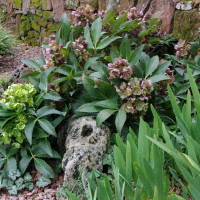 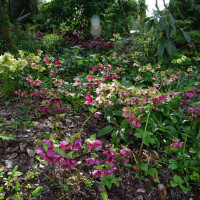 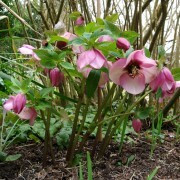 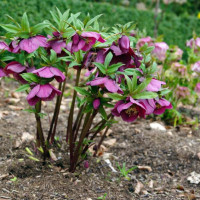 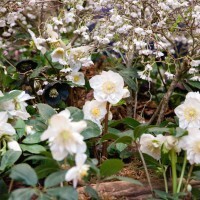 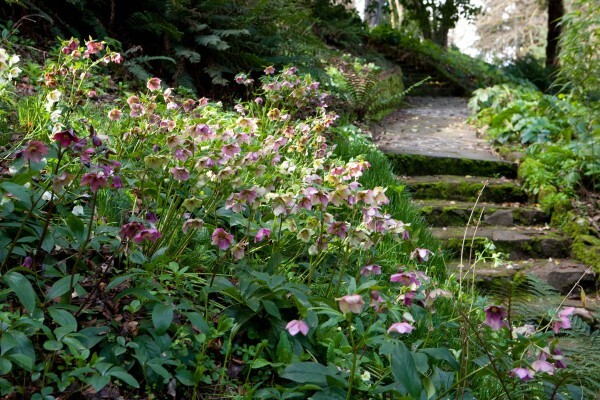 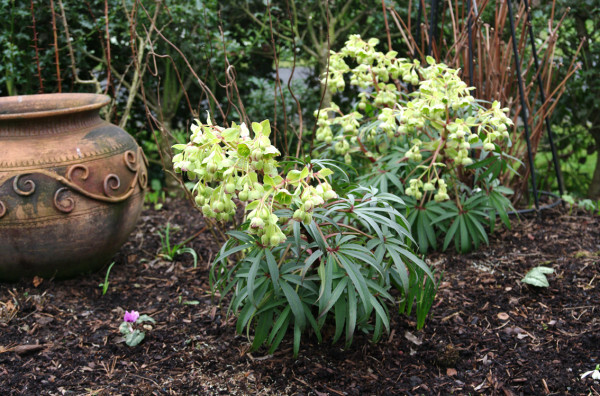 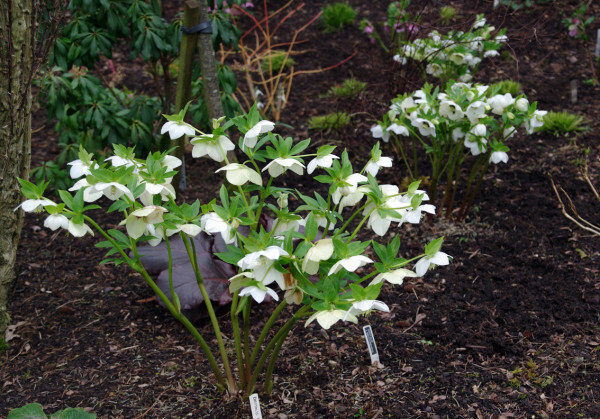 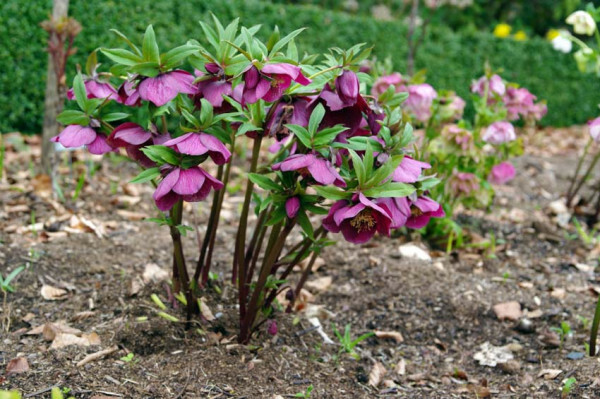 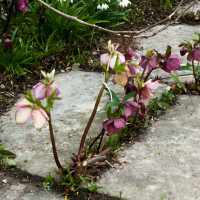 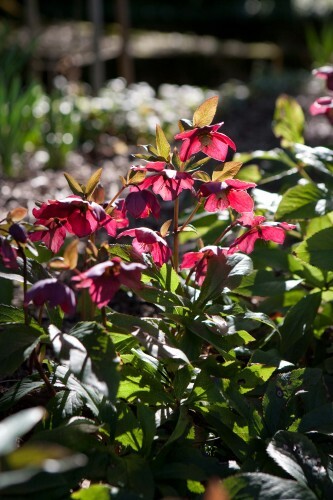 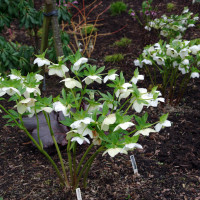 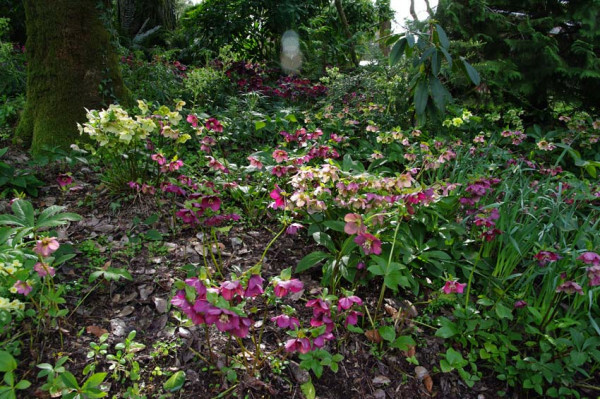 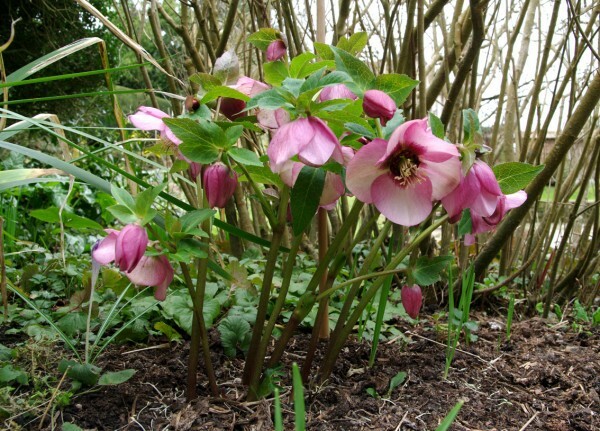 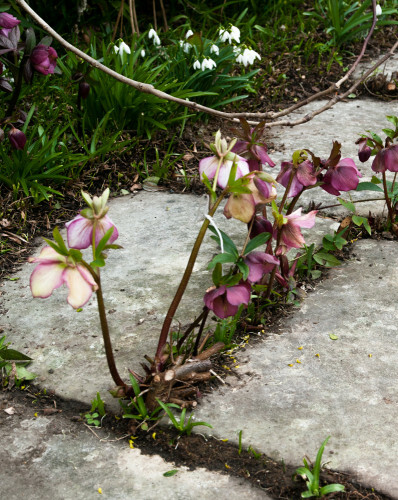 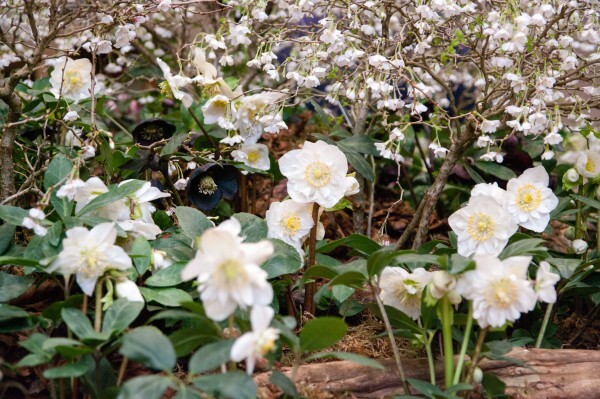 A pale pink Helleborus x hybridus at Great Dixter, England. 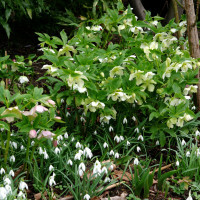 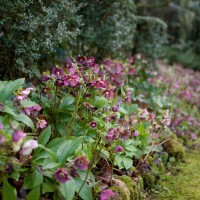 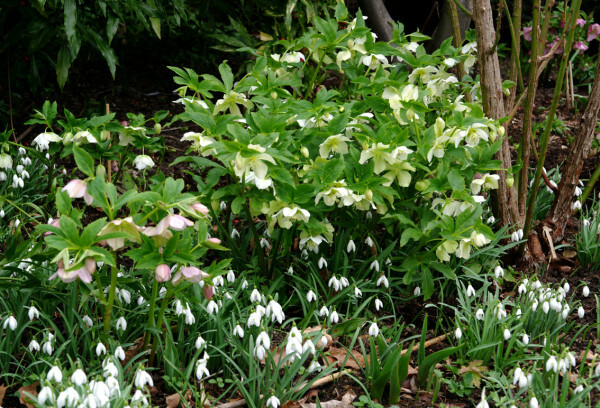 Hellebores and Galanthus at Great Dixter, England. 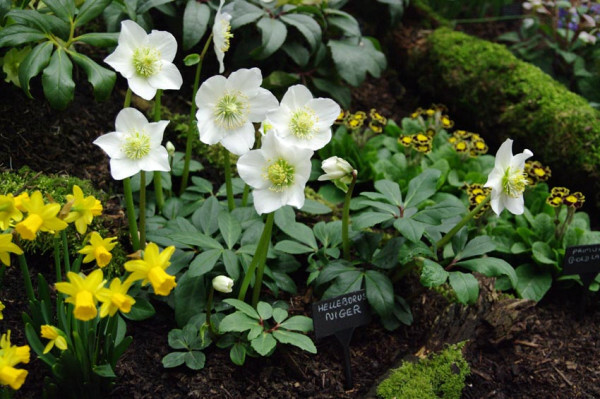 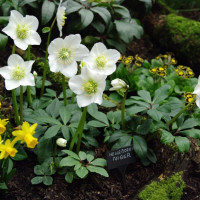 Helleborus niger (with narcissus and primula) at RHS Winter Show, London, 2009. 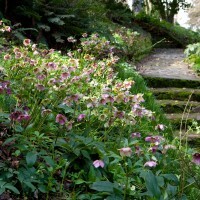 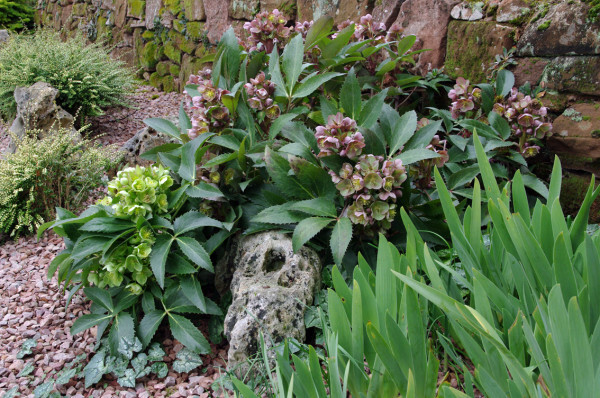 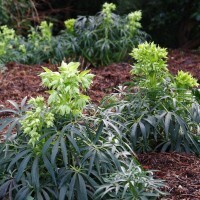 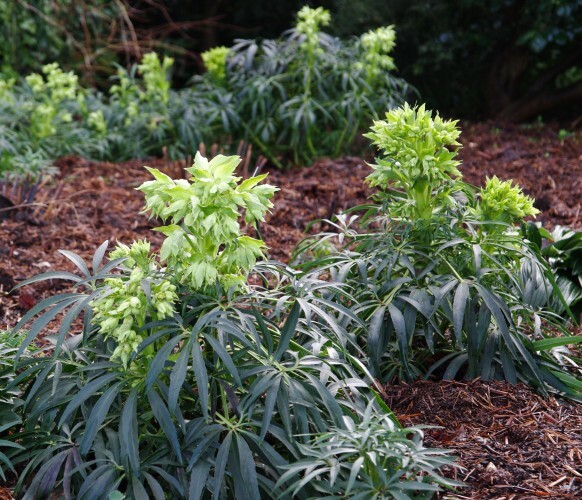 Helleborus x hybridus at Cloudehill, Olinda. 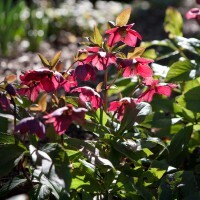 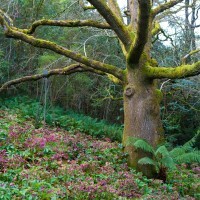 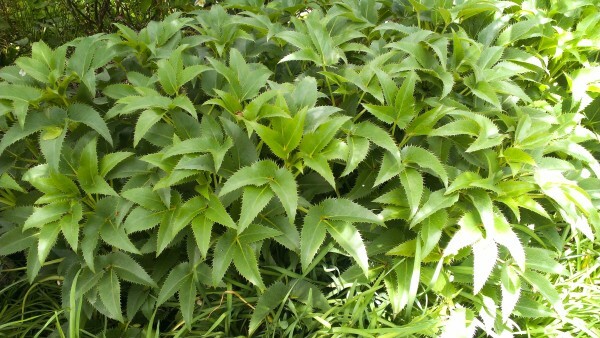 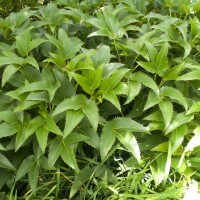 Old foliage has been removed to show off flowers. 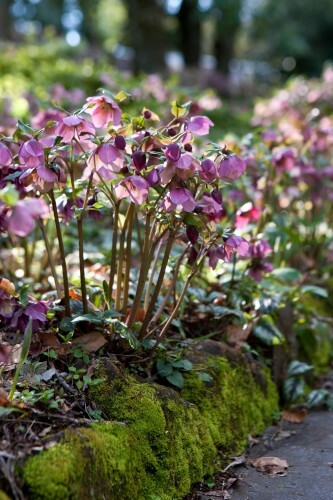 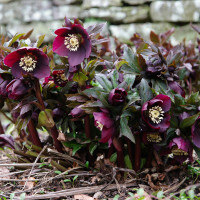 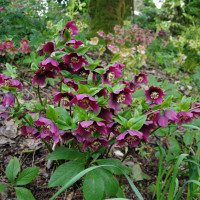 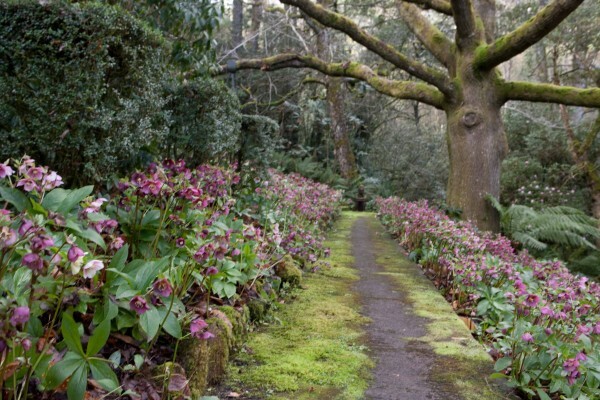 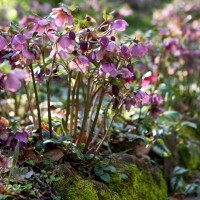 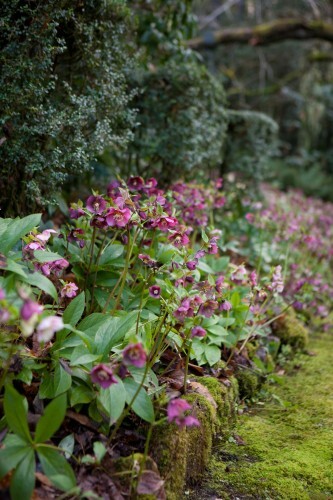 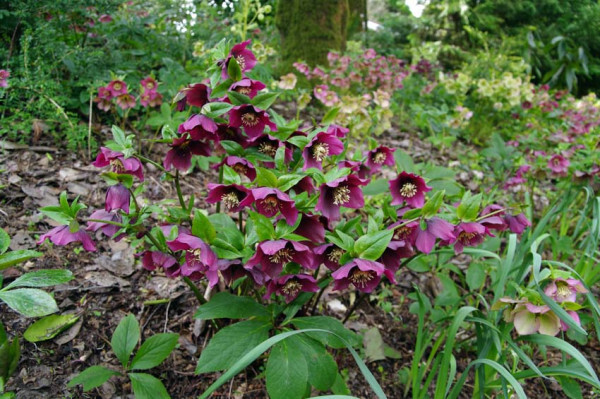 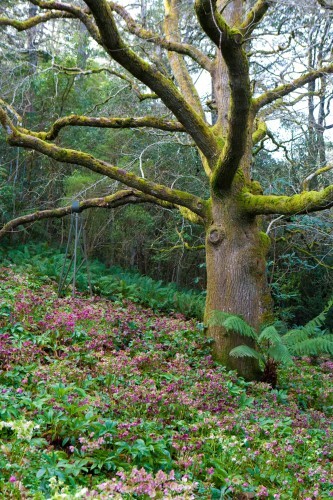 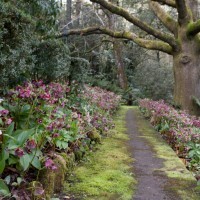 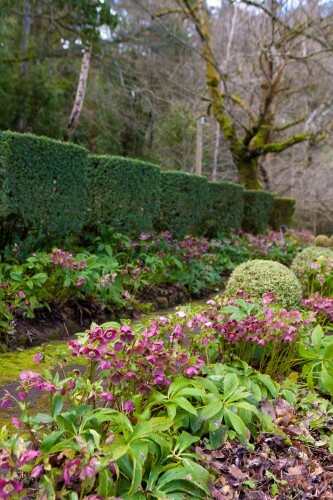 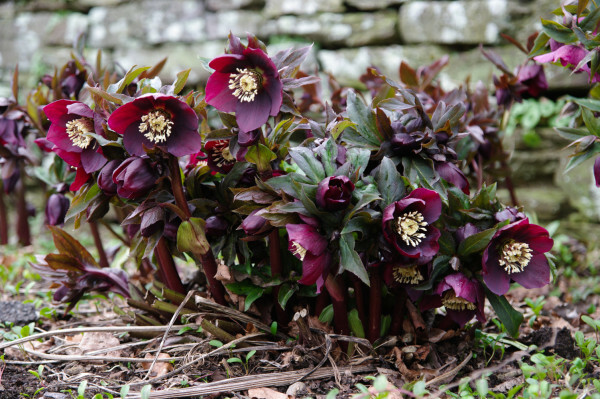 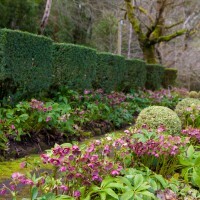 A particularly lovely purple flowered Helleborus x hybridus at Hestercombe, England. 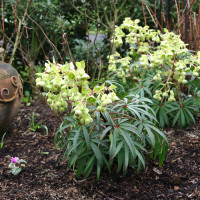 Helleborus argutifolius/ Helleborus x sternii at Ashwood Nurseries, England.